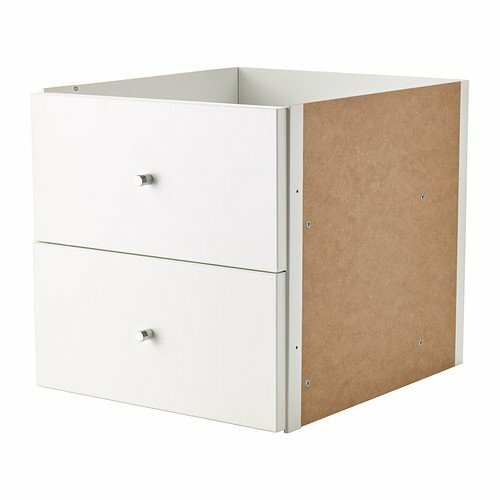 I went to the IKEA in Boston for a small storage system to use as a base for my ironing table as well as storage. This system was so tiny flat packed I could have placed it on the passenger seat of my car BUT since I was going anyhow I offered to pick up a ton of bookcases that could become the base for a studio table for an art friend. I got her 2 each of the Kallax 2X4, 2X2, and 2 drawer inserts. These drawer inserts go into the cubby. Now for my purchase. I was going to get a metal frame with 3 baskets as drawers but then I saw the Algot series which is the same but better looking and better quality so I got 9 baskets along with the three frames. This should be a perfect fit for my ironing table. When I got home and assembled them I realized I had gotten the shorter baskets and I needed 12 of them. I have ordered things from IKEA before and the nightmares still haunt me. 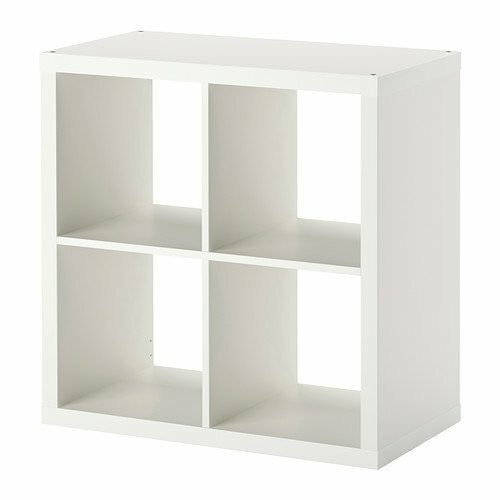 However I persevered and ordered the three missing baskets with a 99% confidence that IKEA would yet again screw up my order. Today, and much to my shock and delight, the three baskets arrived in a box about 24X36X4 which is perfect for mailing my work to buyers. Double win. I am now the happy owner of a fabulous ironing table. Very neat set up. Love the baskets so you can see what is in them. 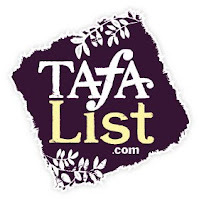 For me Out of site is Out of mind! Thanx for sharing this Beth! 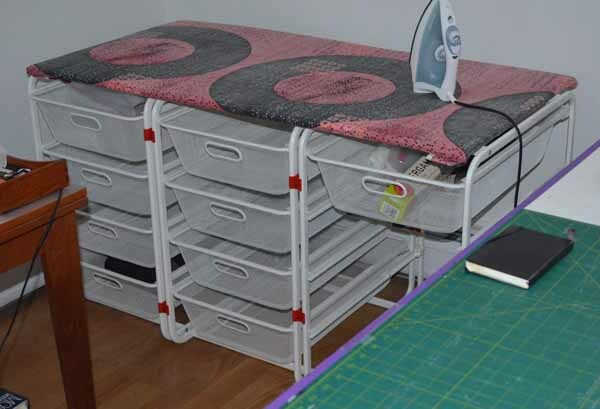 I really love your ironing table, maybe I copy it in my sewingroom. Think this is a great solution. Good to hear from you Eke. 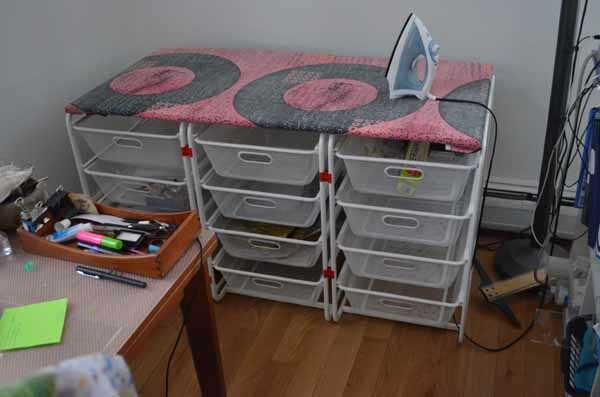 I really love both the ironing top and the extra storage.